Image: Jason Shepherd, Senior Programme Officer, CRN+ during the launch of #UnitedPositively at the Seventh Meeting of National AIDS Programme Managers and Key Partners, 11 March 2019. 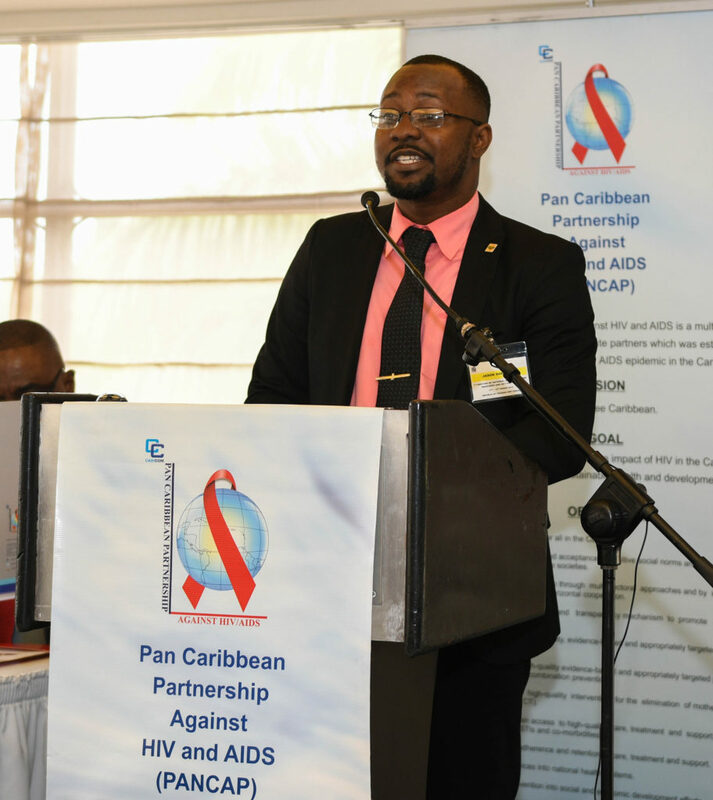 The Caribbean Regional Network of People Living with HIV and AIDS (CRN+) launched #UnitedPositively, an initiative to highlight voices from the Caribbean region against stigma and discrimination, in March 2019. What is the Caribbean Regional Network of People Living with HIV and AIDS (CRN+)? The Caribbean Regional Network of People Living with HIV and AIDS (CRN+) is the authentic voice of Caribbean People Living with HIV and AIDS. CRN+ is committed to empowering and supporting persons infected and affected by HIV and AIDS through advocacy, research, partnership, capacity building and resource mobilization.